As a child growing up in Tennessee I remember watching storm clouds forming on the horizon. As the storm came closer the sky would get darker, flashs of lightning, the rumble of thunder, the wind increasing, finally rain would begin to fall. In our time we see the evidence of the storms. Turmoil, violence, the disintegration of respect for law and order. But we mostly ignore the warnings. It is tempting to write off our nation, and resign ourselves to the inevitable, no longer a question of if but when our nation will fail. We forget that it’s only over when God says it’s over. Long ago Elijah and Abraham faced a similar situation. The evilness of men placing the survival of country and loved ones in doubt. God addressed both situations with hope not despair. In one He assured the overwhelmed prophet that he was not the only loyal one. In the other He not only listened to Abraham’s intercession, He allowed for the possibility of his judgment on Sodom and Gomorroh to be modified. I believe that the church can take away something valuable from this. We need to recognize that there are still many loyal and faithful believers and pastors in this nation. We hear about the scandals and the failings of the church and fail to notice the faithful who go about their lives quietly serving and following the Lord in many different ways. We need to pray more and criticize less. In our fairly brief our history this nation and the church have made mistakes. What sets us apart is even in our many failings eventually we correct those mistakes. If I have any criticism it would be the same cannot always be said of the church. We need to change that. When I hear of a church leaders impropriety described as a moral failure I can almost hear the laughter of those who have little reason to want to be associated with anything that has to do with Christianity. It’s not a moral failure it’s sin. The same sin that we tell people they need to own and repent of to follow Jesus. For anyone who claims to represent the body of Christ it is not only important to be beyond reproach, but to be honest when you haven’t been. If there was ever a time to own our failings to be transparent, to be real it is now. We need to pray for our nation and its leaders regardless of their political persuasion. We cannot deny the fact that there are greater resources to reach people with the gospel than ever before and history. And those resources are abundant in the United States of America. We need to pray for the church. That it would step up and step into its role as the bride that Jesus gave His life for. We need to spend less time building buildings and more time building relationships. We need to spend more time praying for our brothers and sisters and less time criticizing them. The storms came for both Elijah and Abraham. As they surely will for us. But with every storm comes the rain followed by calm and peace. God will sustain us in our storm as he did Elijah and provide a way of escape as he did for Abraham’s nephew lot and his family. We do not need to fear the coming storm He will do the same for us.. 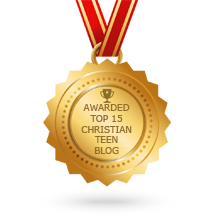 This entry was posted in A CLICK A BLESSING TODAY, CHRISTIAN NUGGETS, Christian Teens Blog JF, CHRISTIAN TEENS BLOGS, Christian Teens Blogs - He is my Peace, Christian Teens Blogs - He is my Peace, Light and Refuge, TAPESTRY TREASURES and tagged refuge, storms. Bookmark the permalink.